Magnolia Nobile by Acqua di Parma is a inspired by the lingering aroma of beautiful gardens surrounding Lake Como. Contemporary and fresh with opulent nuances, this fragrance is an ode to the ethereal beauty of the magnolia and its rich scent. Top: Sicilian Lemon, Calabrian Bergamot and Citron. Heart: Magnolia, Jasmine, Bulgarian Rose and Tuberose. Base: Sandalwood, Patchouli, Vetiver and Madagascan Vanilla. 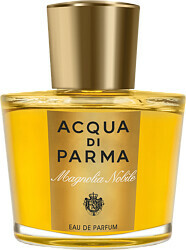 Acqua di Parma Magnolia Nobile Eau de Parfum Spray is rated 5.0 out of 5 by 5. Rated 5 out of 5 by HighStepper from A rich, floral, intensely feminine perfume. Gorgeous. 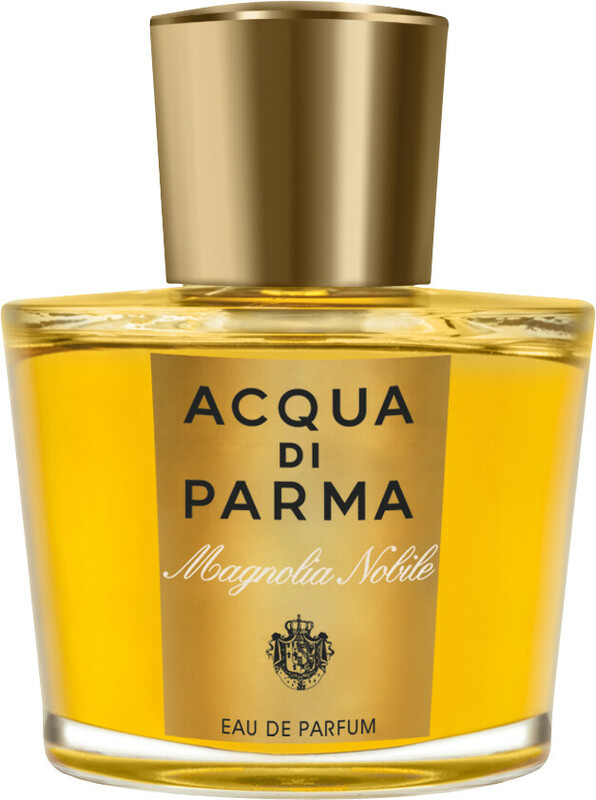 Rated 5 out of 5 by Kim06 from AQUA DI PARMA Magnolia Nobility Eau design parfum It's taken me a long,long time to find a perfume that suits me everyday and one that I have never tired of. What's more, I always receive compliments about my perfume. I shouldn't be writing this really as I want to keep my find to myself! Rated 5 out of 5 by mavis84 from speedy service I have bought this perfume before and was sceptical about buying it online, but service was very quick and packaged very well. Rated 5 out of 5 by MickeyD from Reassuringly expensive My wife tested this product at a well known store, and fell in love with it. I later check the internet and purchased via Escentual.com. It arrived quickly and safely. Considered to be at the higher price scale - but well worth it!